It’s a tale as old as time. 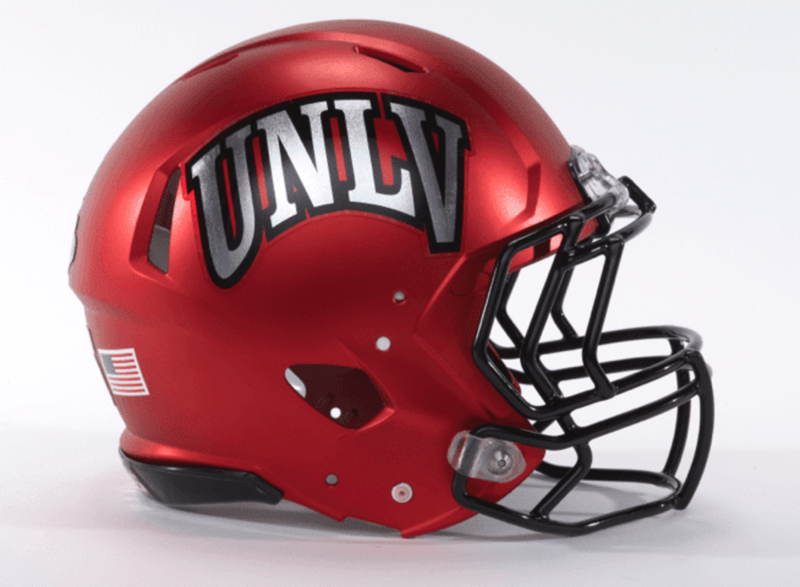 School hires new coach in search of new energy. 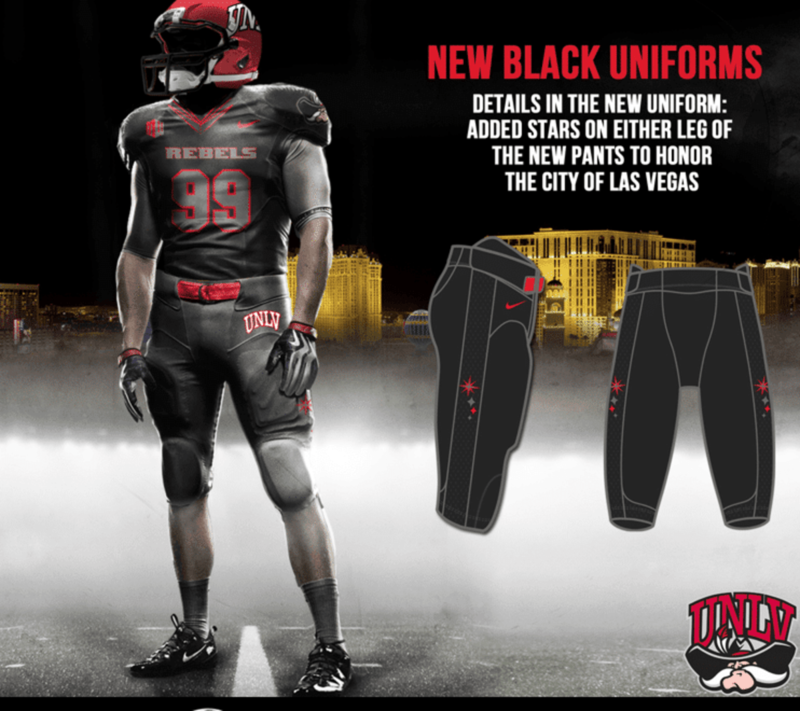 New coach searches for some easy buzz and an early branding mark by introducing new uniforms. 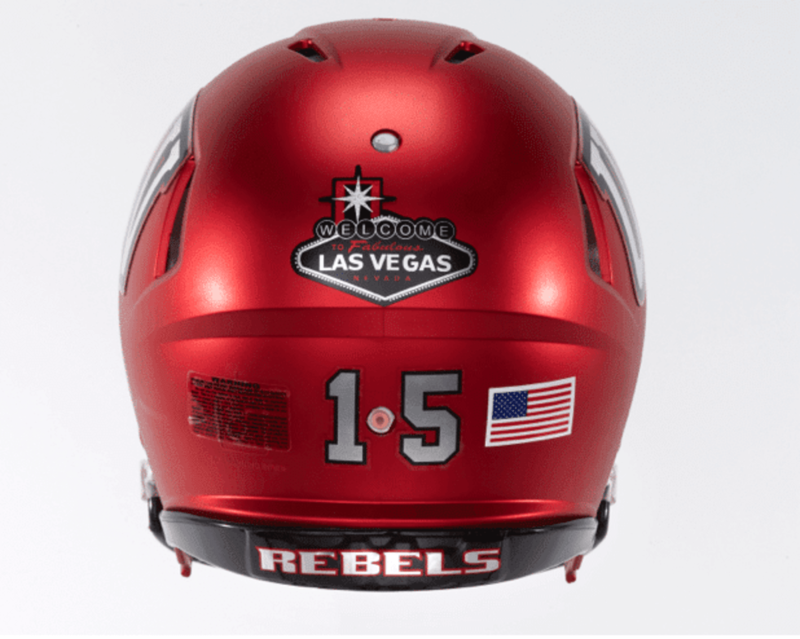 UNLV unveiled new uniforms on Wednesday evening, which look like an updating of the kits the Rebels wore in 2011 and a departure from the vintage look the program sported the past three years. The best touch? 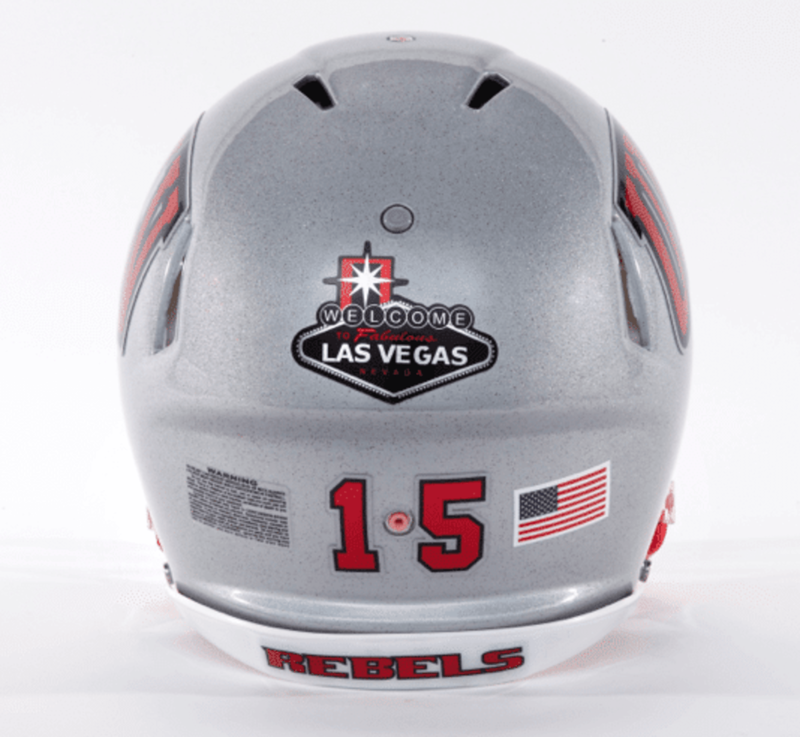 Adding a “Las Vegas” decal to the back of the lid. 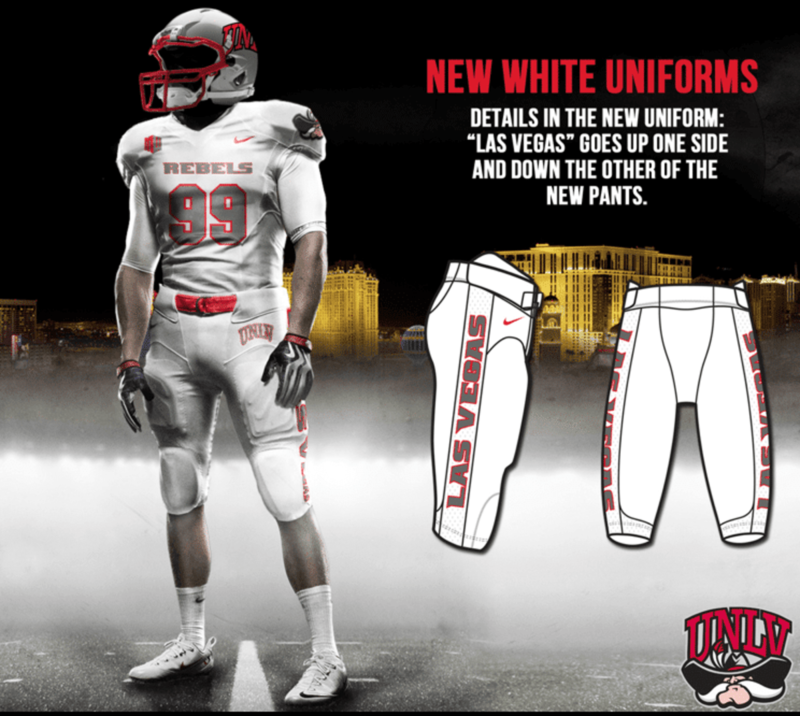 I’m sure Bobby Hauck is just thrilled the Rebels sprung for new uniforms while refusing to pay his buyout. 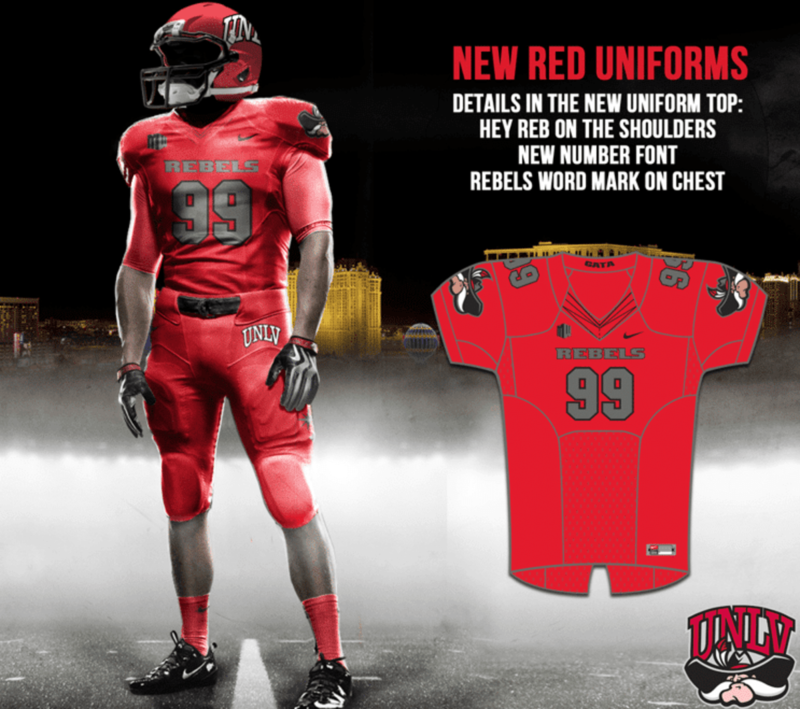 Elsewhere, Connecticut also revealed new uniforms on Wednesday night. 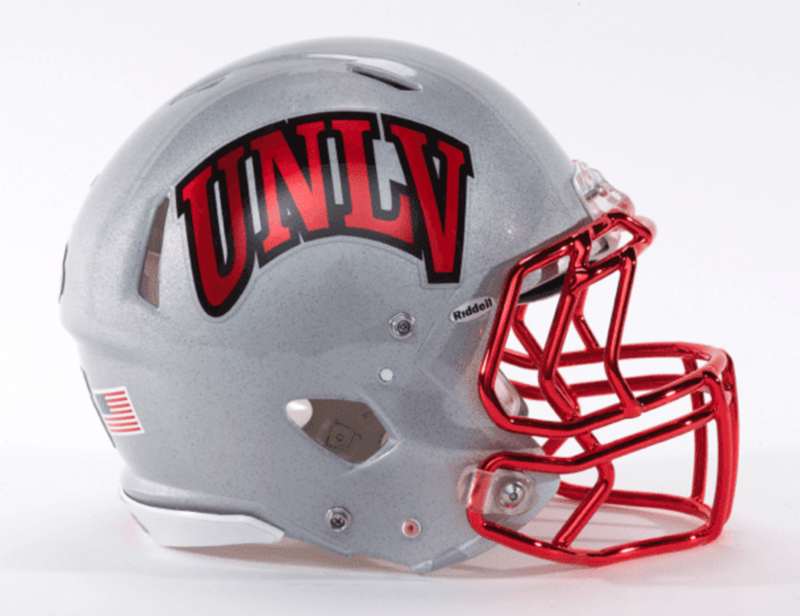 The new look is also a needless departure from one of the most unique helmets in college football.